"In a dream, I was taken to Havana, Cuba sometime into the future. One of the first strange things that I noticed was that there were no military persons in the streets. The people seemed genuinely happy, and were going about their business as usual. I also noticed that the system of holidays that is in place in Cuba right now had changed. Gone were the holidays commemorating the revolution, and the people that were involved in the revolution. Cuba was celebrating the same holidays that it used to have many years ago in the 1950's before the revolution like Christmas and many others. I then saw many Arab men with Cuban women. It seemed to me that the women were marrying the Arab or Middle Eastern men because they were apparently very wealthy. These Arab men were buying many properties in Cuba and influencing the economy there for the good. There was much joy and celebration in the faces of the people at the prosperity that had come to the nation." End of dream. I was shown in the dream that sometime in the near future, there are changes coming to Cuba. Somehow communism will loose its hold on the nation of Cuba in the near future. There will be a a process of restoration that will take place allowing the nation to become prosperous again. Arab men from several Middle Eastern countries, will come to Cuba in large numbers and pour money into the economy. Many of them will marry Cuban women and form families there. 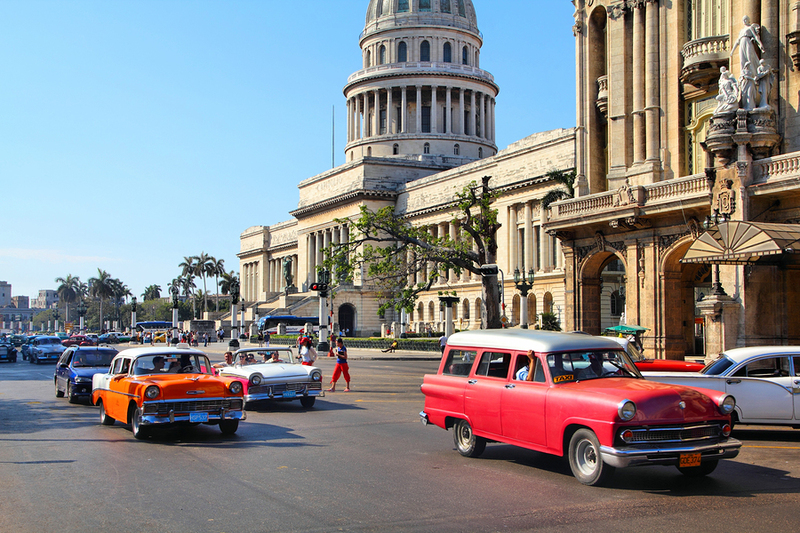 Pre-Revolution Cuban culture will make its way back as the people will be able to celebrate Christmas, and other old Cuban holidays. These things will cause much rejoicing to the people there. Isaiah 54:7-8 "For a small moment have I forsaken you; but with great mercies will I gather you. In a little wrath I hid my face from you for a moment; but with everlasting kindness will I have mercy on you, says the LORD your Redeemer."